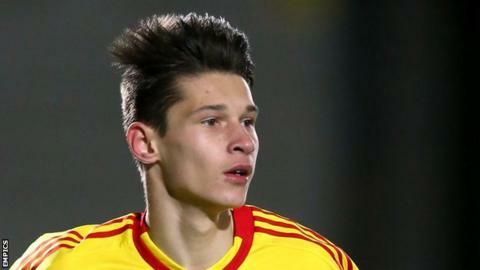 Bury have signed Romania Under-21 winger Mihai Dobre on loan from Premier League side Bournemouth until 1 January 2018. After starting his career with Romanian side Viitorul Constanta, Dobre joined the Cherries in August 2016. The 19-year-old will not be available for the Shakers' game against Scunthorpe United, however. Dobre will join the club on 5 September, following his return from international duty with Romania.